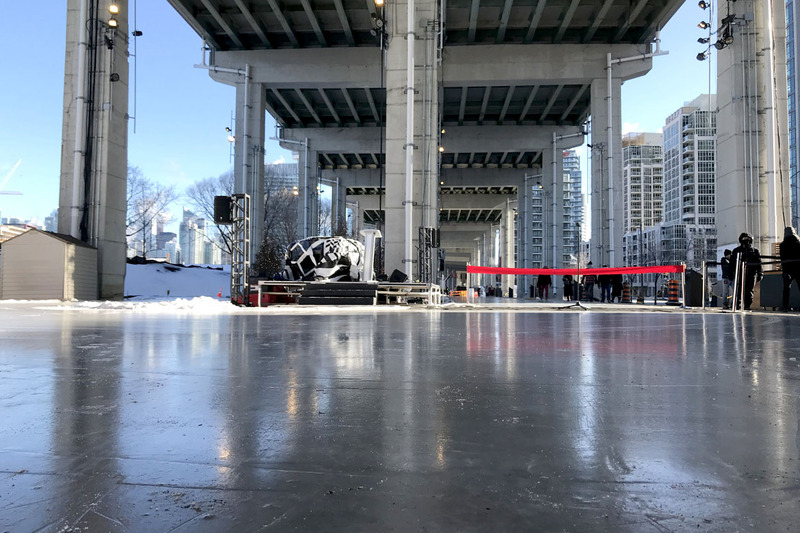 The highly anticipated skate trail under the Gardiner Expressway, The Bentway Skate Trail opens today, January 6th, 2018! 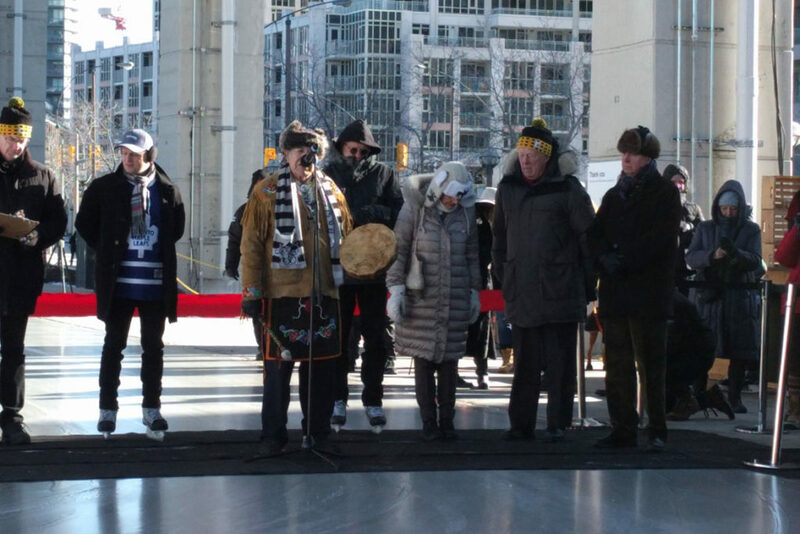 What a great New Year gift for the Torontonians! 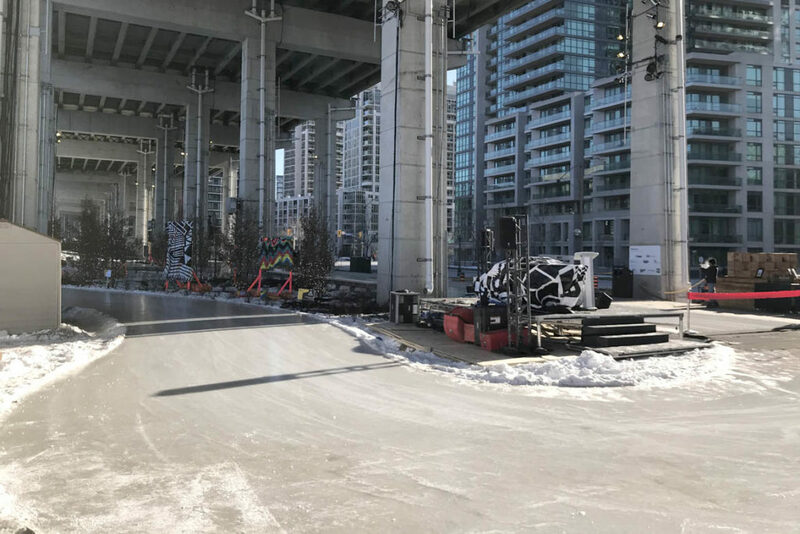 The freezing cold weather (-19°C, feels like -29°C) couldn’t stop us from being the first ones to skate on this brand new skate trail! 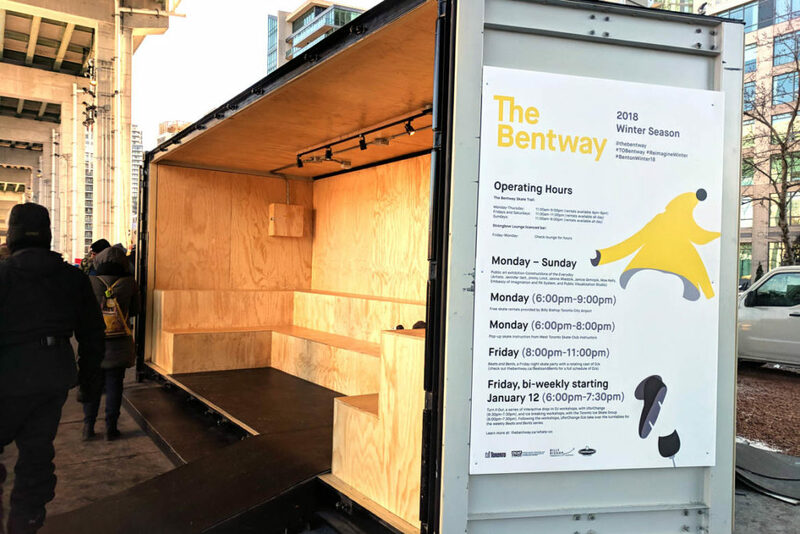 The Bentway is a unique and innovative public space that transforms 1.75km underneath Toronto’s Gardiner Expressway, from Strachan Avenue to Bathurst Street, into a new gathering place for our city’s growing population. 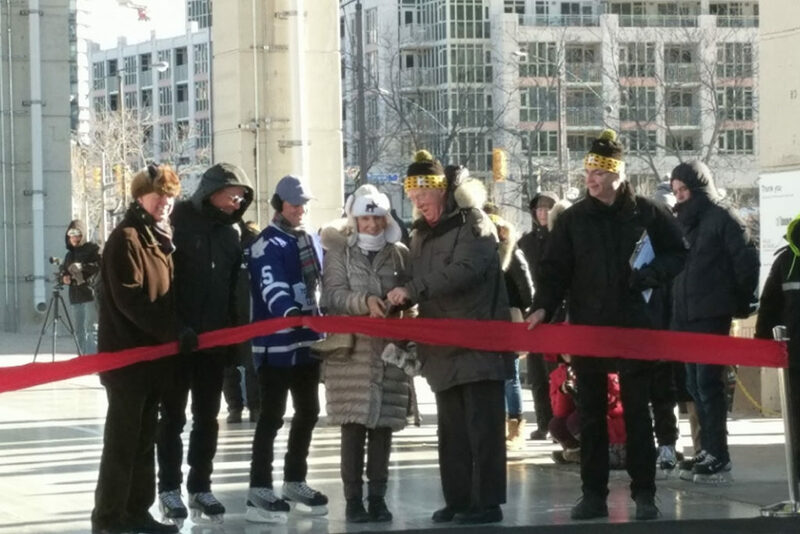 The initial phase of the trail is 1.1km long located besides the Fort York National Historic Site visitor centre. In winter it’s a ice skate trail in the figure “8” shape. 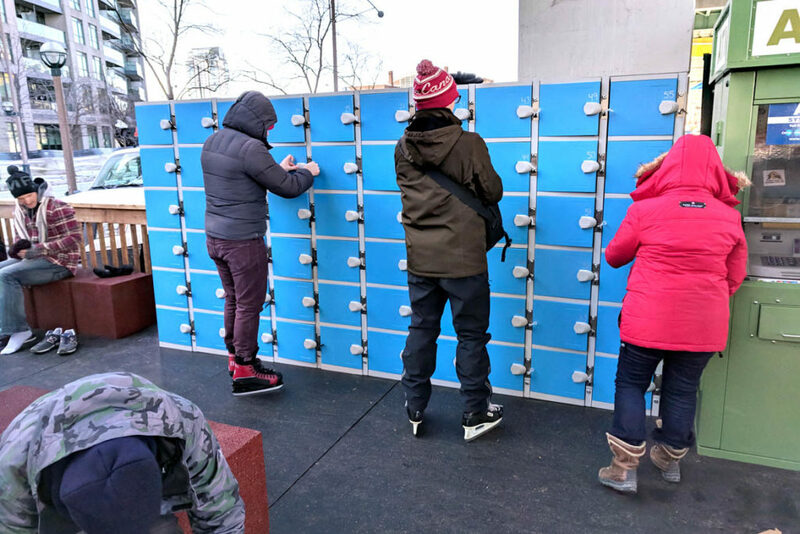 Skate rentals are available, however, skaters are encouraged to bring their own skates. Free skate rentals on Monday night at 6 – 9PM. 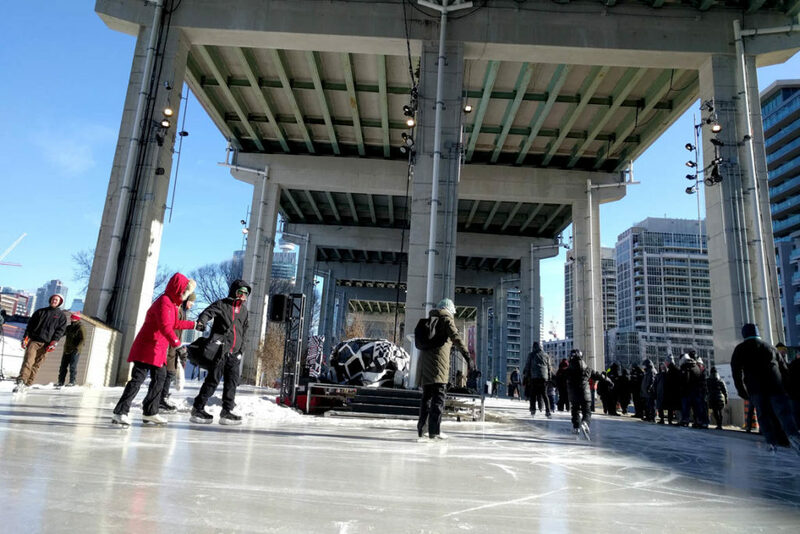 (Fee and opening hours details on The Bentway website: www.thebentway.ca) The skate trail is expected to remain open until March. 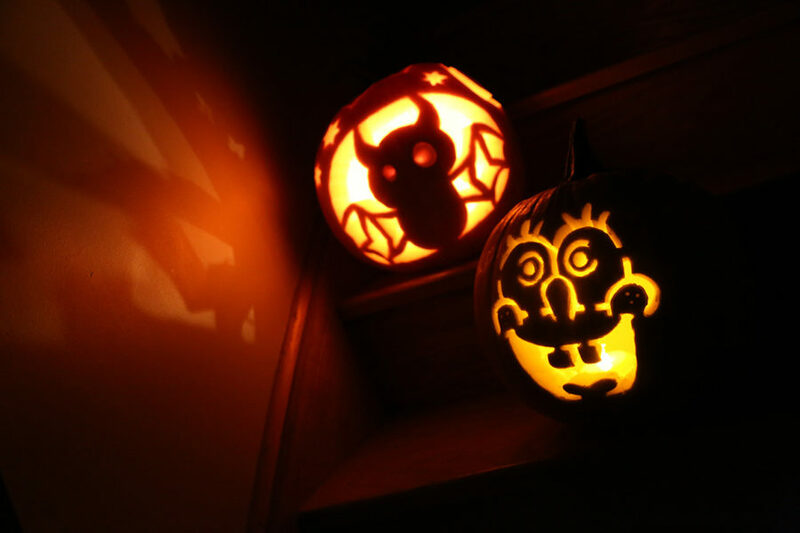 Have a try of one of the national sports of Canada! 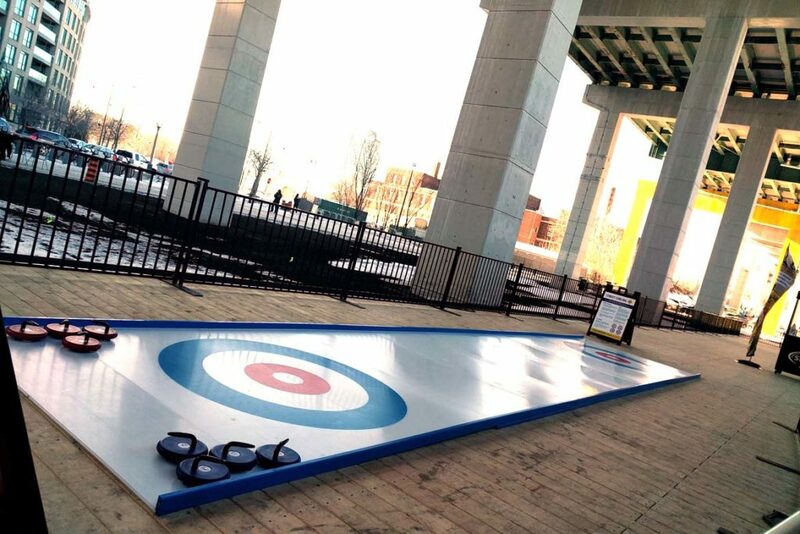 There’s a street curling “ice bed” – for you to enjoy curling without ice! 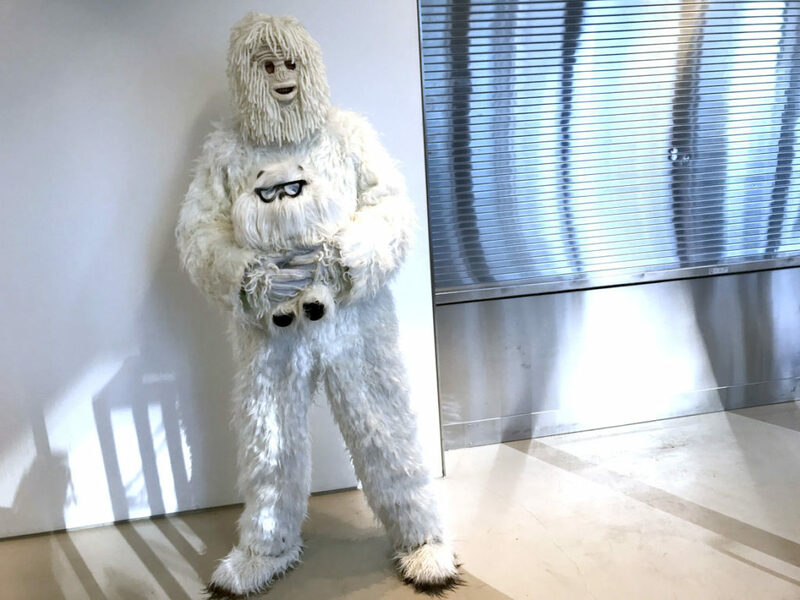 Yeti of Toronto (@yetioftoronto) showed up at the opening celebration! 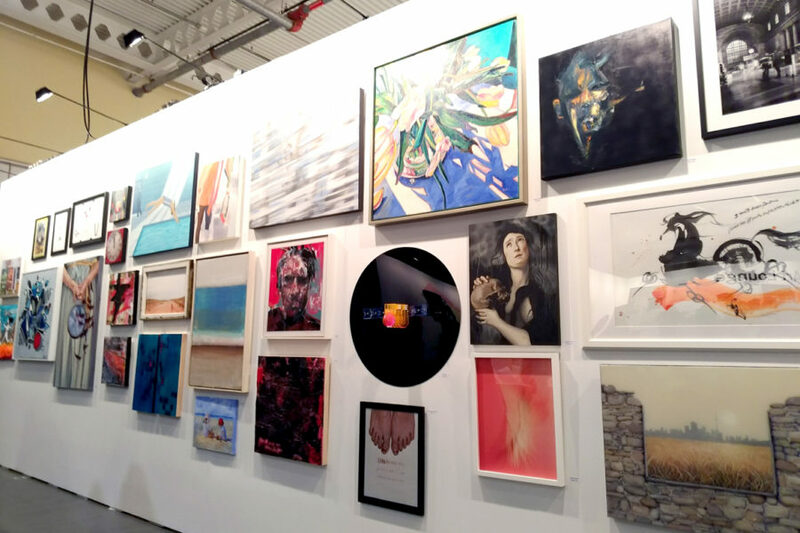 The opening celebration continues on Sunday, January 7th, 1 – 4 PM! 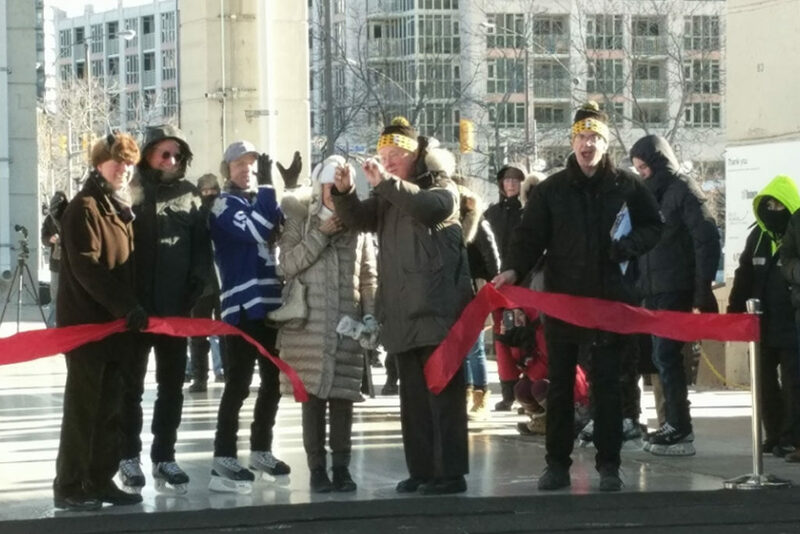 The Mayor’s Skate Party will host with Toronto’s Mayor John Tory and members of Toronto City Council. Complimentary skate rentals and hot chocolate will be available! recreational amenities, public markets, public art, special exhibitions, festivals, theatre and musical performances and more. 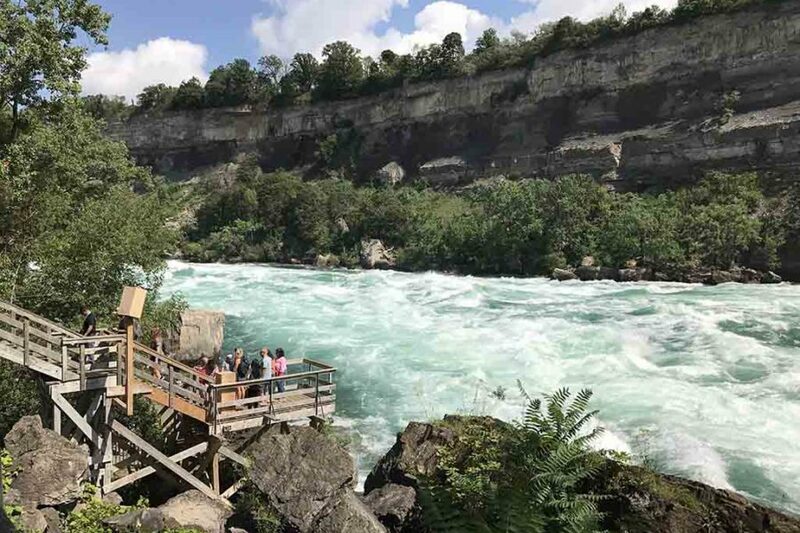 An amphitheatre will open next summer to host music and dance events.